Crown: The upper part of the diamond extending from the table to girdle. Girdle: The outer most edge of the diamond which forms a band around the stone. tip of the pavilion from being chipped or damaged. 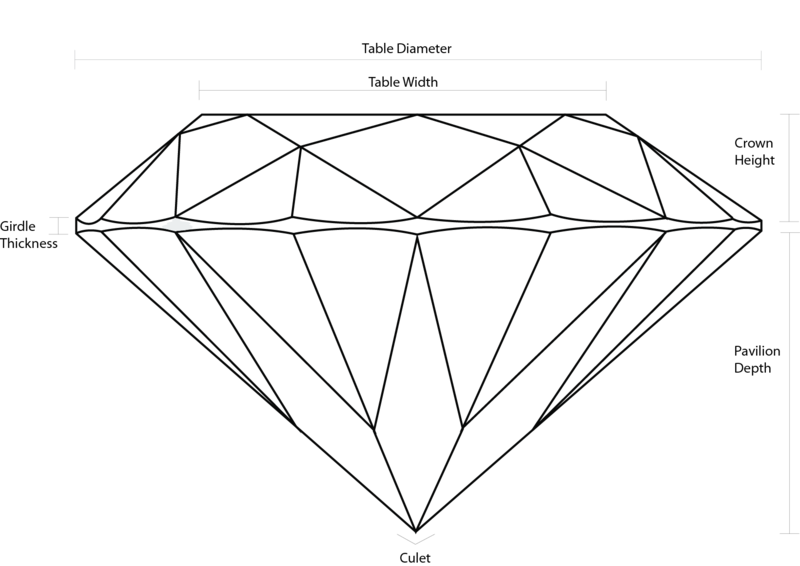 Depth: The total height of the diamond in millimeters from the culet to the table. Diameter: The width of a polished stones that is measured from edge to edge.